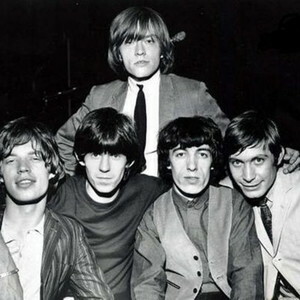 The Rolling Stones are an English rock group, formed in London in 1962. First popular in Europe, they quickly became successful in North America during the "British Invasion" of the mid 1960s. Since then, their worldwide sales are estimated at more than 200 million albums. In 1989, they were inducted into the Rock and Roll Hall of Fame, and in 2004, they ranked number 4 in Rolling Stone magazine's 100 Greatest Artists of All Time. In 2008, Billboard magazine ranked the Rolling Stones at number ten on "The Billboard Hot 100 Top All-Time Artists", and as the second most successful group in the Billboard Hot 100 chart. All the members have also undertaken solo projects of various kinds.